Kayden has the funniest way of falling asleep. He is so full of energy till only seconds before he falls asleep. He will jump laugh, play, cartwheel and you have to keep reminding him to slow down. Even while he is trying to lay still he is still laughing and talking. And then a few seconds later you look back and he is in a deep sleep. But he doesn’t stir at night and sleeps very deeply. Sean on the other hand falls asleep with mommy usually…but since we are weening him I may have to start taking my turn putting him down. The times I have put him to sleep it was either very easy…or very hard. He also wakes up quite a few times at night. But who knows things can always change. 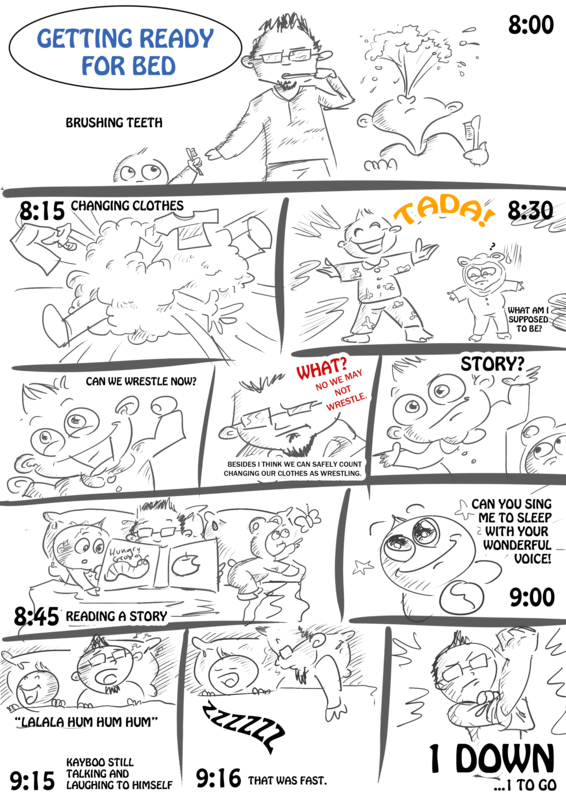 I laughed SO hard at the last part where kayboo just falls asleep…its soo kayboo! !